Advocate staff file photo by Darlene Denstorff -- Linda Prout, right, the regional ambassador for the Little Free Library project, places books inside a library box in Donaldsonville in November 2013. Lester Lerch, left, assisted Paul Marchand with the installation of the box, which was donated by Susan Weinstein, who lives in Israel. SHREVEPORT (AP) — Shreveport’s Metropolitan Planning Commission has shut down a book swap box called a “Little Free Library,” and others could face the same fate. City ordinances allow libraries only in commercial zones, zoning administrator Alan Clarke told The Times. Rick Edgerton said the commission told him it would cost $500 to appeal the ruling against the Little Free Library that he and his wife, Teresa Edgerton, created, KSLA-TV reported. The couple has 10 days to appeal the decision, which KSLA reports was prompted by a single anonymous complaint. 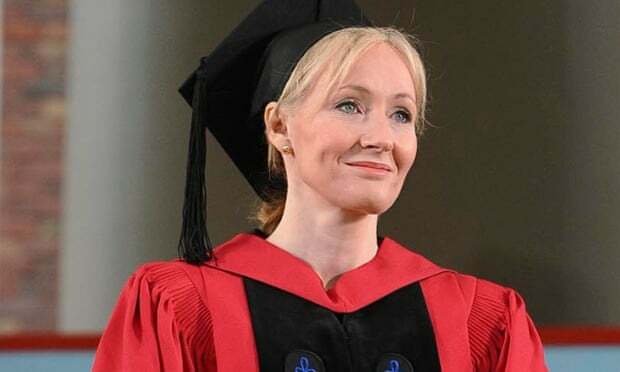 The writer based her speech – the most viewed commencement speech on Harvard’s website – on “failure and imagination”. Delivered to some of the world’s most elite students, her words went beyond the get-ahead cliches of careers advice. 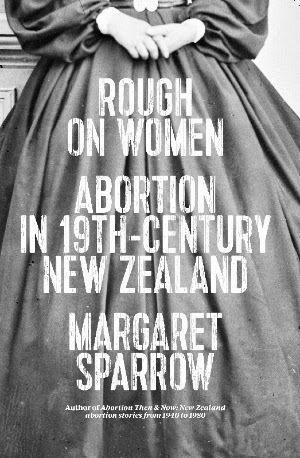 The women who had abortions in 19th century New Zealand are all long dead and little is known of their shortened lives. Most of what we know about them comes from coroners’ reports and newspaper accounts, and in many cases we know more about the abortionists than the women themselves. Those who survived had engaged in criminal activity so they were unlikely to talk about it. Abortion was not written about or mentioned in their correspondence to family and friends. The information we have is biased towards events with a tragic ending but even this gives us some insight into the lives of ordinary women. At a time when contraception was frowned upon by the medical profession women obtained abortions by whatever means they could, despite the dangers of poisoning, haemorrhage and infection. Abortionists did their work despite the threat of long prison sentences. Dame Margaret has had a long career in general and reproductive health. She was awarded an MBE in 1987, the New Zealand Suffrage Centennial Medal in 1993, and the DCNZM for services to medicine and the community in 2002, which in 2009 became a DNZM. Time and place: 12.15pm at the Ministry for Culture and Heritage, Level 4, 101-103 The Terrace, Wellington on Wednesday 1 April, 2015. The Storylines awards for new writers and the Storylines Notable Books List for 2015 (books published in 2014) were announced in Auckland yesterday. Tom E. Moffatt (Rotorua) for Barking Mad. Joy Halloran-Davidson (Napier), for Witch’s Cat Wanted, Apply Within. Bob Darroch for Little Kiwi is Scared of the Dark (Penguin). The Storylines Tessa Duder Award for a young adult manuscript, sponsored by Walker Books Australia, is not being awarded in 2015. Books for children and/ or young adult where the narrative is carried equally by pictures and story. Blackie the Fisher Cat by Janet Pereira, illustrated by Gabriella Klepatski (Craig Potton Publishing). Have You Seen a Monster by Raymond McGrath (Penguin). Jim’s Letters by Glyn Harper, illustrated by Jenny Cooper (Penguin). Kakapo Dance by Helen Taylor (Penguin). I Am Not A Worm by Scott Tulloch (Scholastic). The Song of Kauri by Melinda Szymanik, illustrated by Dominique Ford (Scholastic). The Anzac Puppy by Peter Millett, illustrated by Trish Bowles (Scholastic). My New Zealand ABC Book by James Brown (Te Papa Tongarewa, Museum of NZ). My New Zealand Colours Book by James Brown (Te Papa Tongarewa, Museum of NZ). Construction by Sally Sutton, illustrated by Brian Lovelock (Walker Books). The Volume of Possible Endings by Barbara Else (Gecko Press). Island of Lost Horses by Stacy Gregg (HarperCollins). Conrad Cooper’s Last Stand by Leonie Agnew (Penguin). Teddy One Eye: The Autobiography of a Teddy Bear by Gavin Bishop (Random House). MNZS: Harbour Bridge by Philippa Werry (Scholastic). Monkey Boy by Donovan Bixley (Scholastic). Trouble in Time by Adele Broadbent (Scholastic). The Name at the End of the Ladder by Elena De Roo (Walker Books). Ophelia Wild, Deadly Detective by Elena De Roo ( Walker Books). Fiction suitable for upper intermediate and secondary school students. While We Run by Karen Healey (Allen & Unwin). Speed Of Light by Joy Cowley (Gecko Press). I Am Rebecca by Fleur Beale (Random House). Singing Home The Whale by Mandy Hager (Random House). Spark by Rachael Craw (Walker Books).A Little ABC Book by Jenny Palmer (Beatnik Publishing). For authoritative, well-designed information books accessible to children and young adults. Maori Art for Kids by Julie Noanoa, illustrated by Norm Heke (Craig Potton Publishing). Under The Ocean: Explore & Discover NZ’s Sealife by Gillian Candler, illustrated by Ned Barraud (Craig Potton Publishing). The Book of Hat by Harriet Rowland (Makaro Press). New Zealand Sports Hall of Fame: 25 Kiwi Champions by Maria Gill, illustrated by Marco Ivancic (New Holland Publishers). A Treasury of NZ Poems edited by Paula Green, illustrated by Jenny Cooper (Random House). Ghoulish Get-Ups by Fifi Colston (Scholastic). The Letterbox Cat & Other Poems by Paula Green, illustrated by Myles Lawford (Scholastic). Piggy Pasta & More Food with Attitude by Rebecca Woolfall and Suzi Tait-Bradly (Scholastic). A New Zealand Nature Journal by Sandra Morris (Walker Books). Did you miss The Penguinery on Waiheke Is? Did you miss The Penguinery? Liz has run out of storage at home. For Artis Henderson, grief was a place reached in early childhood, after she survived the airplane crash that killed her father. She was just five years old. Grief was a place to which Artis returned two decades later, when her husband of four months died in a non-combat-related helicopter accident in Iraq. The poem is from Linda France's forthcoming collection Reading the Flowers, which charts the journey of looking at 15 of the world's Botanic Gardens over two years. The number of independent bookshops in the UK fell once again last year, with nearly 50 high street bookshops closing in 2014. The number of indie members of the Booksellers Association fell by 48 in 2014, to 939 indies. The 2013 figure (987) was a watershed moment for the industry, as it was the first time since records began that indie numbers had fallen below 1,000. Publishers should realise that the idea that authors are writers coming up with stories in their garden shed is no longer true, says Dylan Collins, c.e.o. of SuperAwesome, a digital company that bills itself as the “biggest kids’ marketing platform in the world”. The Alliance of Independent Authors (ALLi) is to launch a new campaign aimed at bookshops during the London Book Fair. Called Authors for Bookstores, the campaign will launch at the Indie Author Fringe Festival, which will be held on 17th April at Foyles’ Charing Cross Road flagship. ALLi founder and director Orna Ross (pictured) said the organisation saw getting books into bookstores as “the next step for indie authors”. Oxford University Press has signed a host of book deals in the run-up to the Bologna Book Fair, including titles by Joel Stewart and Roland Chambers. OUP commissioning editor Peter Marley bought world rights Tiny Cops and Robbers, by Stewart, who is an illustrator who has worked with Julia Donaldson and Michael Rosen. Revenues at WH Smith Ireland jumped 66% to €19.29m (£14.1m) in the year ending 31st August 2014 from €11.6m (£8.47m) for the same period the year before. The Irish Independent has seen accounts filed with the Companies Registration Office in Ireland, which shows that despite the revenue rise, pre-tax profits fell slightly from €1.54m (£1.12m) to €1.5m (£1.1m). Penguin Random House has acquired The NOPI Cookbook by Yotam Ottolenghi and Ramael Scully. The collection of more than 120 recipes from Ottolenghi and collaborator and NOPI head chef Scully will showcase the pair’s favourite recipes from the celebrated central London restaurant. Jens Bammel, secretary general of the International Publishers Association (IPA), is to step down from his role. Bammel has led the IPA since 2003, but will step down ahead of the 2015 Frankfurt Book Fair. Bloomsbury has signed Meg Rosoff's first novel for adults, a romantic comedy set in New York. Helen Garnons-Williams, publishing director for fiction, acquired UK and Commonwealth rights, excluding Canada, at auction from Catherine Clarke at Felicity Bryan Associates. Duck Zoo tells the story of Jonathan, his dogs Dante and Sissy, and their vet Dr Clare, along with a wedding that feels more like a funeral, an office job that feels like the ninth circle of hell and a guardian angel named Greeley. Author Tracy Chevalier is among six new people appointed to the board of the British Library. Chevalier will serve a term of four years commencing on 1st April. Other appointments to the board include Sir John Riblat, a property developer; Dr Simon Thurley, an architectural historian; and Professor Dame Helen Wallace, an officer of the British Academy. The final two new board members are Jonathan Callaway and Martin Dickson. The appointments are made by the Secretary of State for Culture, Media and Sport, Sajid Javid. Sixteen books have received an award in the latest round of grants from English PEN’s Writers in Translation programme. The programme, which is celebrating its 10th birthday this year, gives grants to books displaying outstanding literary merit. All books chosen for the programme will be featured on the World Bookshelf website, which celebrates contemporary international literature in translation. Canongate has signed a book celebrating dogs of all shapes and sizes by photographer Lynn Terry. Publishing director of non-fiction Katy Follain bought UK and Commonwealth rights, excluding Canada, in a deal with Caspian Dennis at Abner Stein. US rights went to Gallery Books after an eight-way auction. The book, Tails from the Booth, began life a photography project to raise money for local pit bull shelter. Terry takes photos of dogs inside a vintage photo booth. When images from the project were put on website Boredpanda, they were viewed 1.2m times. Which Way Is Starboard Again? Cost: $24 - tickets available via Ticketmaster. The North Shore Libraries Foundation invites you to enjoy a fun night out to hear how Michele's award-winning comedy show has now become a book, Stuff I forgot to tell my daughter. Female Comedian of the Decade at the 2010 NZ Comedy Guild Awards, comedian and writer, Michele A’Court will be appearing at the Bruce Mason Centre for one night only. 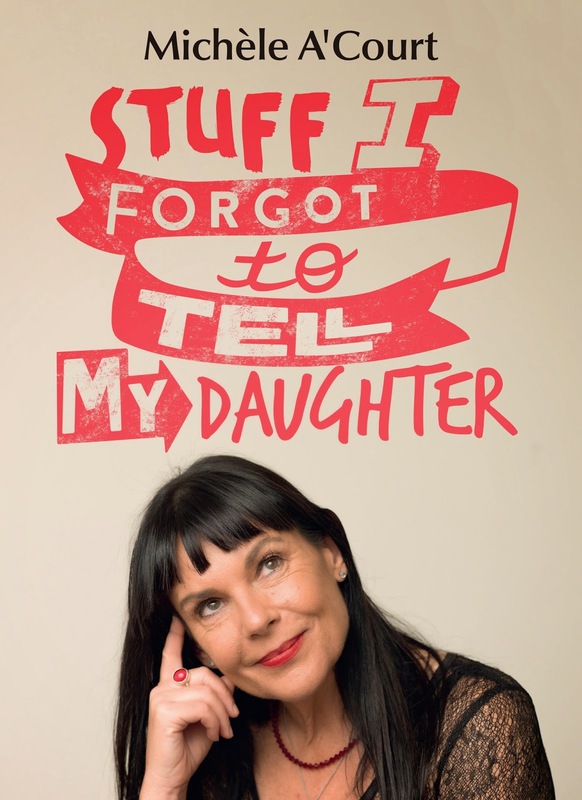 She will be talking about her memoir of motherhood, Stuff I forgot to tell my daughter, a funny, wise, honest and wonderfully diverse book about relationships, family and life. Michele will be introduced by high-profile journalist and publisher, Finlay Macdonald, and will then entertain the audience with her unique take on motherhood - just in time for Mother’s Day! This event is brought to you by the North Shore Libraries Foundation, with ticket sales supporting Auckland’s North Shore libraries. Literary magazine Granta is undergoing a digital transformation that will see its online and mobile offering pulled closer together in the hope of attracting new readers. The magazine, which is known for launching the careers of Salman Rushdie and Martin Amis, has overhauled its website to sport a more modern, modular design. Similarly to other publisher sites, Granta has gone for a block-type format less reliant on countless sections to surface content to readers. The revamped look, complete with a feature that allows visitors to discover new content, aims to offer a less cluttered and seamless experience. 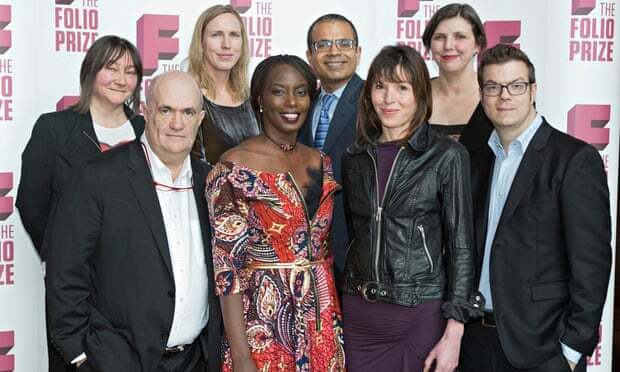 I wouldn’t ever want to complain about all the reading I had to do as a judge of the Folio prize. How wonderful to be paid to read – assuming, of course, that reading’s your thing (I hardly want to do anything else). But there is no denying that some weeks I felt wary of the boxes of books that glowered at me from a corner of my sitting room. Gobble a lot of fiction very quickly – we read 80 novels and short story collections in about four months – and you soon find yourself suffering from the literary equivalent of a food intolerance. Oh no, you think, not another novel about X or Y. At these moments, only one thing keeps you going: the faint hope that the book in question might turn out to be the greatest novel ever written about X or Y. This is the first stage of the process, and it’s good when it’s over. Stage two happens without your noticing. As the weeks tick on, a list of books forms in your mind, one to which you grow unreasonably attached. Once this has happened, you’re already at the beginning of stage three: the Great Letting Go. It sounds dumb now, but I agreed to judge the Folio prize thinking it would be simple. We judges had merely to find the best book; excellence would be our only standard. Somehow, I failed to register that I would not be sitting in a room with four other Rachels, all with the same likes and dislikes as me. At the first judges’ meeting, during which we drew up our long list, I felt something close to panic as my darlings were thrown out, scythed by the passionate dislike or, worse, the indifference of my colleagues William Fiennes, Mohsin Hamid, AM Homes and Deborah Levy. After the shortlist meeting, I had to walk home the long way to burn off the adrenaline. Not even knowing that everyone else was feeling exactly same – we all sustained casualties – made it any the less excruciating.